* There are many mud flats and rice fields, Ganghwa is one of them. Vast mudflat and rice field are one of the best birding spot for shorebirds in spring season. 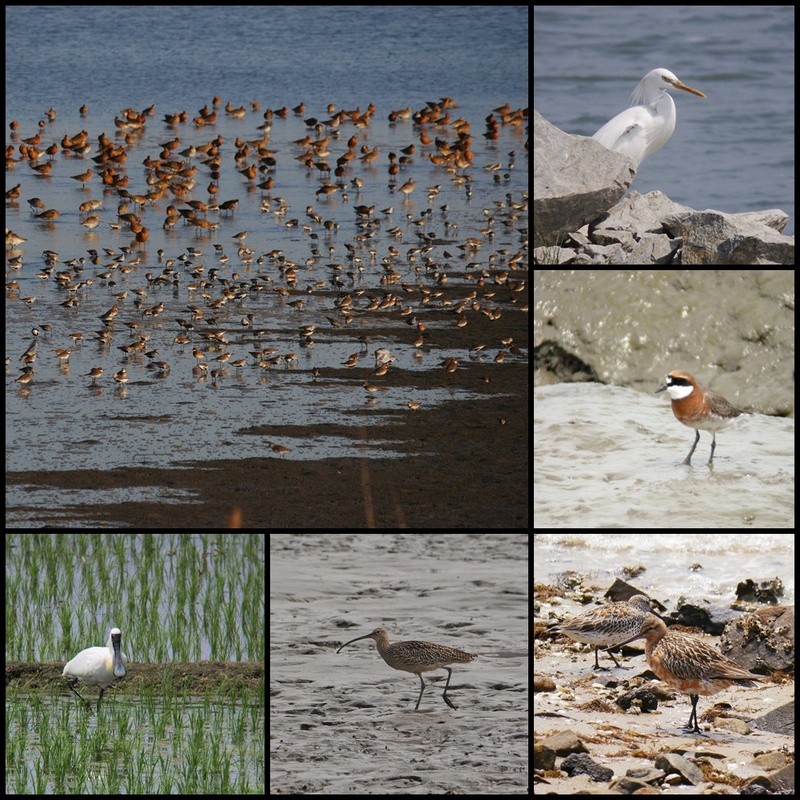 There are many great birding mudflat and rice field in Korea. You will visit one of the places among Ganghwa island, Hwaseong lake and Cheonsu-bay. This trip is available from early-April to mid-May. Tide time and height is very important to meet spoonies, so the birding date must be discussed in advance. This trip is designed to go birding for 1 day. The tour period can be extended if you want.